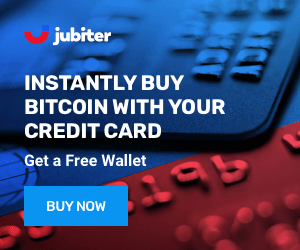 Jubiter is an exciting new online Bitcoin and Litecoin wallet. It features top-of-the-line security measures, including two factor authentication, login guard and identity protection. Its user-friendly web-interface and excellent customer support make it ideal for novice traders. Jubiter allows users to buy, sell and exchange cryptocurrencies using bank transfer or credit card. Jubiter is a easily accessible from any device. 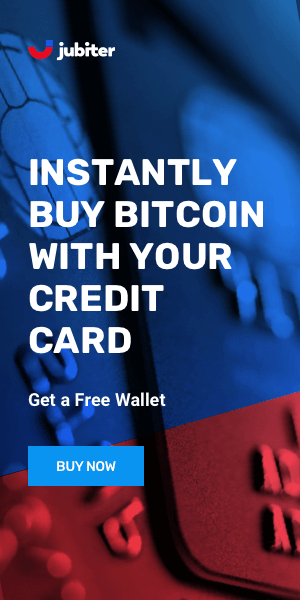 Unlike many other wallets, it not only allows users to buy and sell coins, but it also offers an exchange service from Bitcoin to Litecoin and vice versa. It is an easy-to-use platform, offering instant and automated verification of documents and immediate authorization of transactions. Jubiter was started by unabashed Bitcoin enthusiasts with extensive knowledge in the underlying technology and development skills necessary for the field. Owned by Richard Brockhume, a British national, Jubiter's vision is to make the cryptocurrency market mainstream and accessible for all, including those who lack technological understanding. The company is operated by Jubiter Technologies OU. Registration #14439099. Address: Harju maakond, Tallinn, Kesklinna linnaosa, Roosikrantsi tn 2-K432, 10119, Estonia. Jubiter features top-of-the-line security measures, including two factor authentication, login guard and identity protection. The bulk of users' funds are stored in cold storage and therefore safe at all times. Jubiter also follows an agile strategy which allows it to constantly adapt and enhance its security system in accordance with developments in the market. 97% of users funds are secured in cold storage..
Jubiter is an extremely user-friendly platform offered to both veteran and novice traders, as no technical background is necessary. Transactions are easily carried and verification is done on-the-fly. It is suitable for frequent trading as well as for saving, as 97% of funds are stored in cold storage and 3% are available for daily trading. It is a safe and convenient place to store your coins. Jubiter is an easy-to-use service that lets users buy, sell and exchange crypto easily and securely. The platform is friendly and does not require technical background, which makes it suitable for all. Transactions are completed within seconds as verification is instant, and the ability to use bank transfer or credit card to make purchases makes Jubiter a unique, highly accessible wallet.